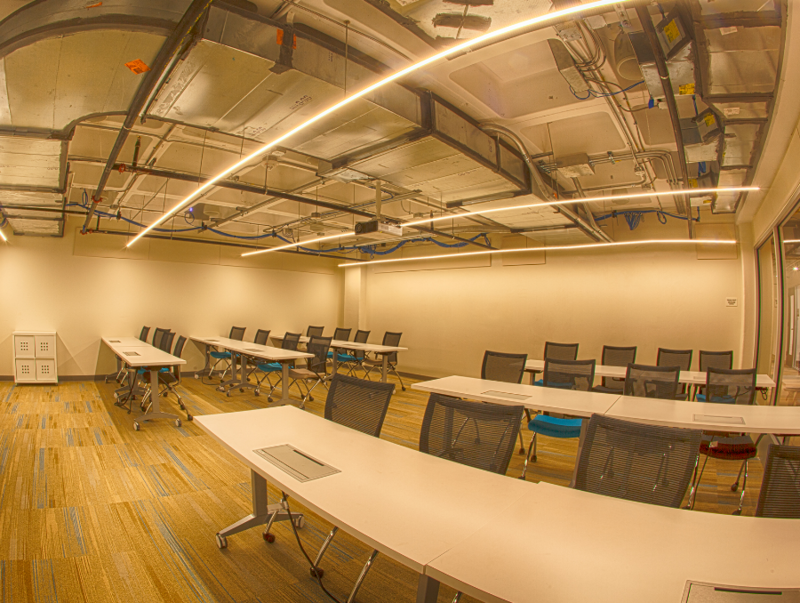 Room 39 is a standard training room located on the lower level. With 12 mobile tables and 24 rolling chairs, this room can adapt to almost any meeting format necessary. With a full glass wall looking out into the lower level lobby, your guests will appreciate the open feel of this room. 2 Table Inputs (VGA, HDMI, 1/8′ Audio): Users will be able to present from their laptop to the screens. All of the furniture in room 39 comes equipped with wheels and are completely mobile. You are welcome to change the layout of the room to whatever you need. Just be sure to return it to its original layout! I need to show a presentation during this meeting, but room 39 does not come with any technology. Does the Jessie Ball duPont Center have a screen and projector we can rent? Our Mondopad, which is a touch-screen, mobile, 70-inch computer, is available for an additional fee (please see pricing listed above).